If you own a restaurant or bar and don’t have a liquor license, you could be missing out on a lucrative deal. Every proprietor with a restaurant or bar is generally looking to procure, at the very least, a license to sell beer and wine. This permit can have major effects on your profits and the overall success of your business. Providing your customers with the service they have come to expect and demand means pursuing the permits that make this possible. Serving beer and wine is a crucial element of business for many California restaurants and casual bars. From fine dining establishments to laidback bars, it’s important to offer customers the beverages they desire. Beer and wine have become integral facets of the dining out experience, and many restaurants find a large portion of their profits are due to alcohol sales. In California, liquor licenses are distributed by the Department of Alcohol Beverage Control. This process can be difficult and time-consuming; as licenses are limited within the state of California, finding a seller willing to part with their license for a fair price can be a challenging endeavor. New business owners must often privately purchase their required alcohol permits from a pool of proprietors who possess pre-existing license. The shortage in inventory and rising rates of competition can cause liquor license prices to skyrocket. In competitive counties and cities, competition has seen alcohol permits sold for upwards of a million dollars. Nabbing the right license is not always an inexpensive endeavor, but it can be a highly lucrative move. Without the proper guidance, first-time liquor license buyers can find the process extremely complicated and frustrating. We will work to help you every step of the way. From finding local sellers to closing escrow process, we’ll arm you with the necessary strategies for securing the permit your establishment needs to succeed. There are a variety of liquor licenses to choose from. How Does a Beer and Wine License Differ from Other Liquor Licenses? In California, there are many types of liquor licenses. Each of these permits is designated for a different purpose. If you’re looking to purchase an alcohol permit, it’s important to determine which best suits your business and entrepreneurial endeavors. 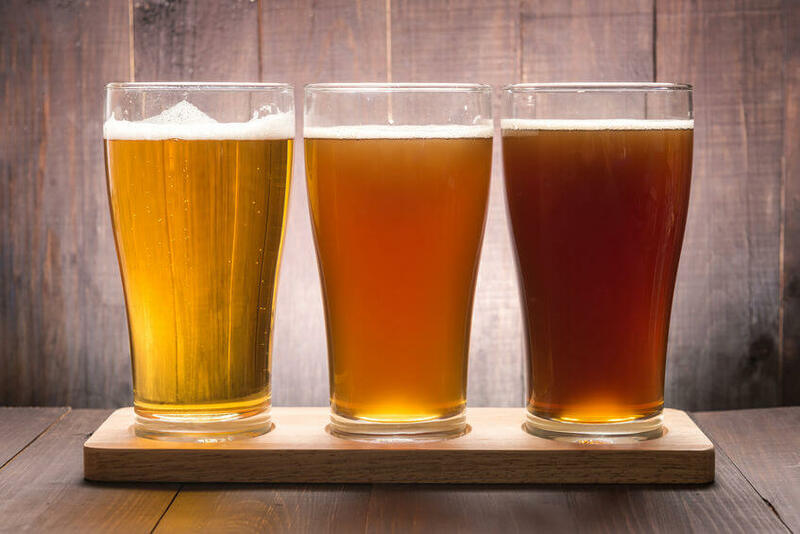 While there are plenty of liquor license types, those looking for a beer and wine license are generally restauranteurs only hoping to serve those beverage options on their menu. This can include wine bars, breweries, and other establishments that don’t have hard alcohol or spirits on the menu. In general, beer and wine alcohol permits tend to be less expensive than general full liquor licenses. Full liquor licenses, in contrast, allow proprietors to sell liquor and spirits alongside their wine and beer offerings. Because these types of permit are in high demand, competition can drive up the price of local licenses. It’s in every business owner’s best interest to use a brokerage service to access the best permit deals available at the current market rates. On-Sale General: This liquor license type allows a proprietor to sell all types of alcoholic beverages, which can include beer, wine, spirits, and liquor. Customers may consume their beverages on the premises of the establishment. This type of license also allows the proprietor to sell wine and beer in a sealed container for consumption off of the premises. Off-Sale General: This liquor license type allows a proprietor to sell any type of alcohol beverage, including beer, wine, spirits, and liquor, in a sealed container so long as it is consumed off the premises. On-Sale Beer and Wine: This liquor license type allows a proprietor to serve both beer and wine for consumption on the premises. These establishments can also sell sealed containers of beer and wine to consumers who intend to consume these beverages off of the premises. Off-Sale Beer and Wine: This liquor license type allows a proprietor to serve beer and wine in sealed containers for consumption offsite. On-Sale Beer: This liquor license type only allows for the sale and consumption of beer on and off the premises of the establishment. Those looking for a beer and wine license must choose between the two types of this license: On-sale and off-sale permits, which allow for onsite consumption and offsite consumption, respectively. On-sale licenses are required for businesses including bars, restaurants, clubs, theaters, museums, and any other public premises. This is also true of any establishment run on transportation methods, including planes, trains, and boats. An on-sale beer and wine license allows you to serve beer and wine on the premises, for consumption onsite. Restauranteurs and bar owners generally seek on-sale licenses for their establishments. The most popular type of on-sale beer and wine permit is the Type 41 license. This is designated for full-service eating establishments that serve beer and wine. Off-sale beer and wine licenses allow owners to sell sealed containers of these beverages, intended for consumption off-site. The most popular type of off-sale beer and wine license is the Type 20. These are most often sought by convenience store owners, gas station owners, and the like. Off-sale licenses can be used if you are an importer, producer, or wholesaler of any type of alcohol. If you’re unsure which distinction you fall under, our team can help you quickly ascertain the most suitable designation. Are There Qualifications for Applying for a Liquor License? There are further qualifications for a restaurant beer and wine license. It’s important to choose the license that suits the needs of your establishment. If you’re looking for an alcohol permit that allows you to serve alcoholic beverages alongside meals, you must be considered a bona fide eating place. To achieve this distinction, your restaurant must include a suitable kitchen that’s equipped to serve meals. You must also be able to show that a minimum of 51 percent of your gross receipts are or will be directly from food sales. Applying for and purchasing a beer and wine license from the ABC can be a complicated and lengthy process. Any person who wants to apply for an ABC liquor license must first start with the nearest ABC District Office. Staff members will ask questions about the proposed establishment and decide which type of license is needed. You may be required to acquire approval from zoning officials, open an escrow, or get a copy of a Notice of Intended Transfer. When filing an application at the district office, generally all parties must appear to provide personal information and pay required fees. The applicant may watch videos regarding liquor licensing laws and may receive a temporary permit. The ABC will then mail a copy of your application to local officials as required by law. If the establishment is within a city, it will be sent to the police department, city planning department, and city council. If the establishment is in a county, the copy goes to the sheriff’s department, district attorney, and board of supervisors. This step in the process could see dispute; if local offices are concerned about the issuance of a license at the designated spot, they may ask to impose restrictions on your business or file a protest. The ABC will perform a thorough investigation to see if your establishment qualifies for a beer and wine license. As an applicant, you’ll have your fair share of responsibility. You must post the Public Notice of Application at the establishment for 30 days. You may also need to publish a notice in the newspaper, notify all people living within a certain distance of the premises, and obtain proof from your local planning department that your zoning has approved a liquor license. If your beer and wine license is contested, the Division Office will review your application before your request goes to final review. If the protests to your license issuance haven’t been settled, there will be a hearing; this public hearing will include all parties including the ABC. Once the Administrative Law Judge makes their decision, you may choose to appeal. In most counties, you’ll find the ABC has already issued their allotted licenses, or maybe pushing their limits. This doesn’t mean your search for a license is over. At any given time, there are local business owners looking to sell their liquor licenses for a variety of reasons. Even if your county has reached its quota of liquor licenses, in most cases, businesses in the area will be getting rid of their license, providing you the opportunity to acquire the permit you need. It’s also important to keep renewal concerns in mind. It’s a licensee’s responsibility to renew their beer and wine license each year, even without notice from the Department of Alcoholic Beverage Control. You are responsible for paying a yearly renewal fee prior to your license’s expiration date. If your license does expire, you can operate your business for 60 more days, then renew your license by paying a late payment fee. If you don’t make a payment within this time, your license will be cancelled. Should you pay within the 30 days following this period, you’ll be allowed to reactivate your license so long as you pay a 100 percent penalty. Regardless of the type of liquor license you’re looking for, you’ll find a bevy of options with License Locators’ brokerage service. When determining cost of liquor license, there’s no straightforward answer; current beer and wine license cost depends on a variety of different factors, including market value, locality, and competition. The process of procuring a California liquor license requires jumping numerous hurdles. From zoning applications to license transfer fees, there are a bevy of facets included in the process, and each of these facets can present a different cost. Purchasing any type of liquor license also presents a time investment; obtaining the right permit can take anywhere from 60 days to over a year. Because time is of the essence when it comes to restaurant and bar profitability, it’s important to expedite the transfer process as much as possible. If you’re looking to purchase a beer and wine license, License Locators is the brokerage service you need. Experts in the California permit industry, our seasoned professionals can help your alcoholic beverage permit transaction go smoothly. Efficiency and timeliness are important to our clients, and we take every action necessary to ensure your transaction is completed with immediacy. There’s an important distinction to understand when it comes to determining beer and wine license cost. 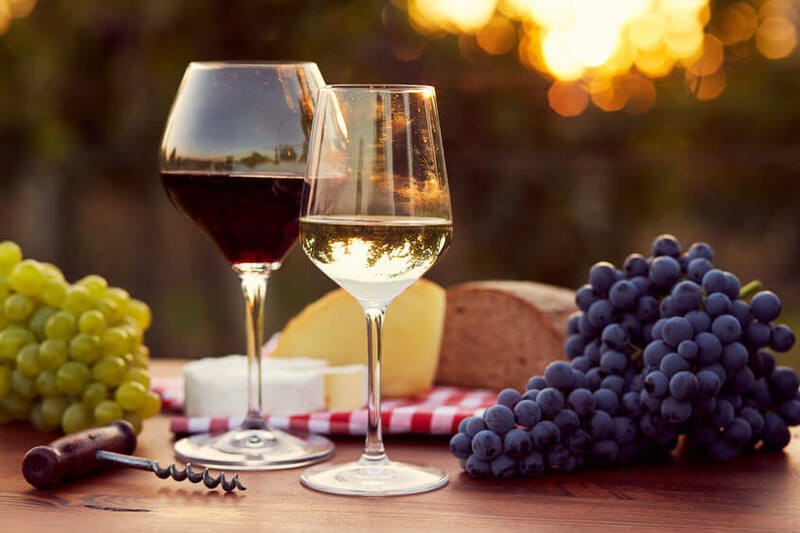 An off-sale license allows proprietors to sell wine and beer for consumption off of the property, while an on-sale license is designed for business such as restaurants that will sell alcohol for consumption on the premises. On-sale licenses are often in higher demand in a competitive field, and therefore tend to be more expensive. Beer and wine license costs run the gamut—some proprietors may find such a permit for less than a hundred dollars, while others may find themselves shelling out thousands of dollars to procure the desired license. In large metropolitan areas, alcohol permit competition is fierce, meaning many new proprietors must secure their permits from businesses looking to sell. For example, to secure a San Francisco liquor license, an individual must purchase from a pool of businesses that have already obtained a beer and wine license, as the ABC has run out of the quota of permits in that area. This is where License Locators comes in. We can help you find and acquire a beer and wine license from a business proprietor in a pre-existing pool of license owners at a fair price. Locating willing sellers can be difficult; our wide array of license listings makes it easy to seek out the permit your business aspirations require. Whether you need a license for beer and wine or you’re wondering how to get your liquor license in your area, License Locators offers the advice of seasoned professionals. We ensure your licensure process is flawless from start to finish. We will help find you the right seller at a perfect price, and stay with you throughout the process until escrow closes. Conversely, if you have a beer or wine license for sale, License Locators can help you secure the right buyer for the right price. If you need to sell a liquor license, our experienced staff can help expedite the transaction process to get money in your pocket as quickly as possible. We’ll help you get in contact with qualified, serious buyers looking to acquire a beer and wine license for their business. Our team of professionals can help you navigate the license transfer process. Don’t waste time haggling with buyers that are less than serious about their purchase. We serve as the connection point between motivated sellers and ready-to-purchase buyers to ensure a fair and efficient transaction process for both parties. Whether you’re selling a liquor license with your business or simply choosing to take alcohol off the menu in your establishment, you can find a large cache of motivated buyers who are ready to bid on your license. Let our team of alcohol license transfer experts make selling your beer and wine license an easy and hassle-free task. Working with License Locators means ensuring the transfer process is done by the book every time. We’ll help you follow all local regulations to ensure your purchase or sale is above board. We’ll help you pare out the important details and handle the busy work to save you time, money, and stress. Don’t deal with the frustration of an unfruitful liquor license sale transaction. Instead, sell your permit quickly and efficiently with no sweat off your brow. We provide escrow services in California to ensure that each of our clients is sufficiently prepared for every facet of the acquisition process. Sellers benefit from our ability to provide a comprehensive overview of the transfer process; we can analyze the market of current trends and help you strategize the best ways to sell your in-demand liquor license. Making the most from your investment means avoiding fraudulent buyers and those who waffle on their purchase. We’ll help you get in quick contact with buyers looking to purchase alcohol permits immediately. Our clients appreciate our quick process, and with professionals well-versed in all arenas of the California liquor licensing industry, you can rest assured we’ll answer any question you have and deal with every concern. Whether you’re in search of a beer and wine license in order to open your own restaurant or want to find an alcohol permit to open your own franchise convenience store, we’re here to help assist in any liquor license transaction. We’ve worked with a wide array of clients, from small family-run businesses to large national corporations. With years of experienced and hundreds of happy customers, we know what it takes to help you acquire a beer and wine license quickly and efficiently. Many business owners in pursuit of a liquor license are battling the clock to ensure they open their establishment on time; while purchasing an alcohol permit on your own can take months, we can expedite the process and ensure you get the license you need in the shortest amount of time possible. Perhaps you’re looking for a general full sale liquor license, or maybe you’re a brewery owner that’s looking to acquire a simple beer-only license. Regardless of your permit needs and desires, rest assured that our team of experts have seen and done it all when it comes to liquor license transfers. With vast experience and a large cache of alcohol permits available, we serve as a one-stop shop for business proprietors looking to simplify and streamline the opening of their business. If you’re in the market for a beer and wine license, let License Locators help you locate the best deal. Find the alcohol permits you need to make your business a success, and pay a fair price for the license of your choice. Searching for a beer and wine license online? We can assist you with the purchase process, from finding the right permit to closing escrow. Obtaining a beer and wine license isn’t always an easy, straightforward task. If you’ve never dealt with the ins and outs of license transfer processes, it’s important to employ the help of seasoned professionals that can provide immediate advice and help you secure the best permit for your entrepreneurial aspirations. Whether you’re looking to buy or sell a license for beer and wine, License Locators can help you negotiate the best value possible in your area’s current market. Our brokerage services will take you from the beginning to the end of the process, up until your escrow closes and your license is in hand. Whether you run a hotel chain, drug store, supermarket, or family restaurant, we can help you find the ABC permit you need to make your entrepreneurial dreams a success.